Hillary Clinton is turning her focus to TV. The former first lady, secretary of state and Democratic presidential candidate is on board to executive produce Amblin TV's adaptation of "The Woman's Hour: The Great Fight to Win the Vote." Clinton has dabbled in TV before, with cameos on "Broad City" and an upcoming episode of "Madam Secretary," but this will be her first time producing. Steven Spielberg's Amblin Television plans to bring Elaine Weiss' critically acclaimed book to the small screen as either a TV movie or limited series, likely shopping it to premium cable channels like HBO or Showtime or streaming platforms, says TV Guide. "The Woman's Hour," published in March, is about the women's suffrage movement and activists' decades-long fight to win the right to vote. The book also details the struggle to ratify the 19th Amendment, and lauds the women who laid the foundation for the civil rights movement. In a statement, Clinton said "The Woman's Hour" is an inspiration for society in modern times. "At the heart of democracy lies the ballot box, and Elaine Weiss' unforgettable book tells the story of the female leaders who — in the face of towering economic, racial and political opposition — fought for and won American women's right to vote. Unfolding over six weeks in the summer of 1920, 'The Woman's Hour' is both a page-turning drama and an inspiration for everyone, young and old, male and female, in these perilous times," she said. "So much could have gone wrong, but these American women would not take no for an answer: their triumph is our legacy to guard and emulate." No writer is attached to the project yet. 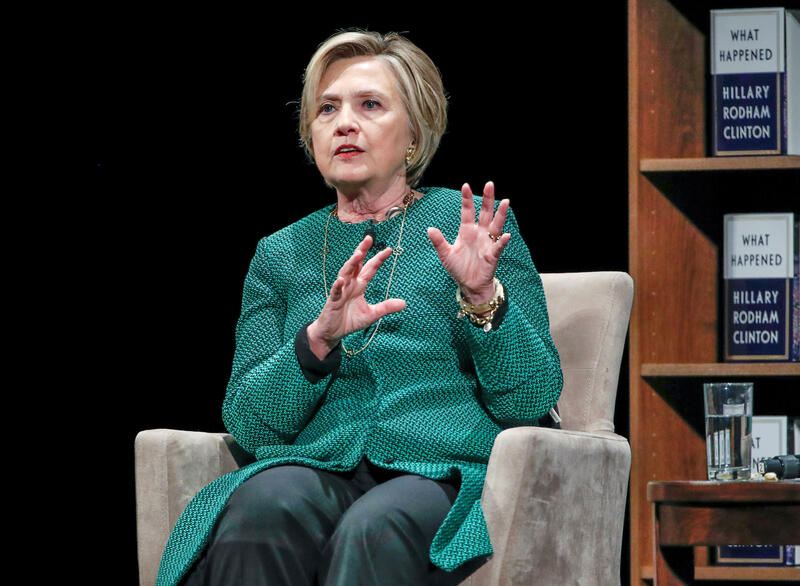 Clinton will executive produce "The Woman's Hour" along with Amblin TV co-presidents Darryl Frank and Justin Falvey and author/journalist Elaine Weiss. In May, Michelle and Barack Obama struck a multi-year deal with Netflix which may involve producing scripted series, unscripted series, docu-series, documentaries, and features. Clinton's husband, former president Bill Clinton, is adapting his book with James Patterson, "The President is Missing," into a series for Showtime.